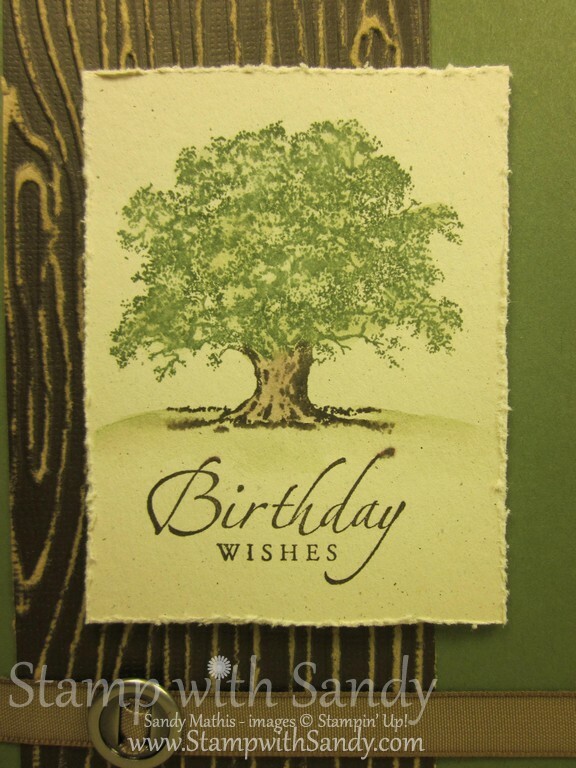 My very good friend and fellow demonstrator Justin had a birthday recently, and this is the card I made for him. Unfortunately, in one of my moments of senility, I mailed it to his old address. He never got it, so I had to make another one, which I hand delivered. Thank goodness he's such a good friend and understands my senior moments! 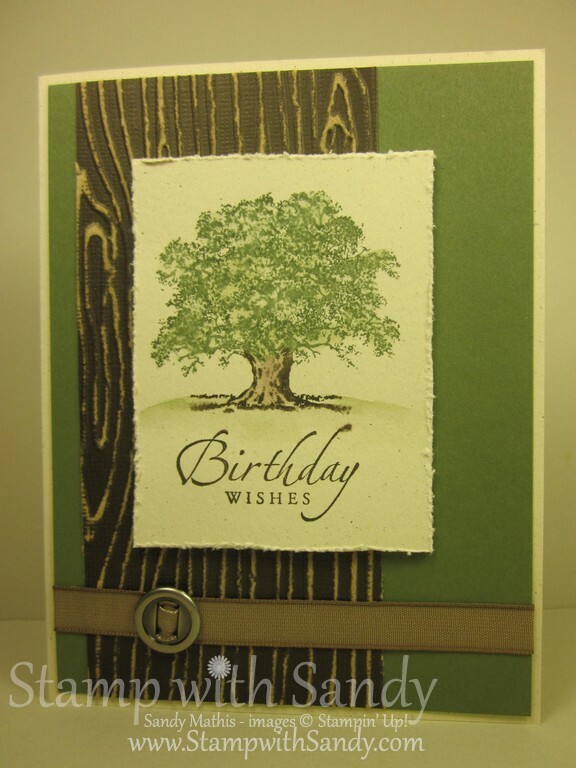 I know how much he likes tree images and wood grain, so I thought this card would be perfect. 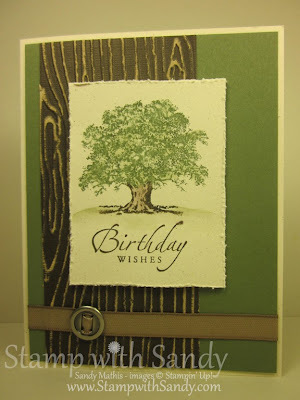 I used Naturals Ivory Card Stock to stamp the image on. I colored the stamp with markers in Early Espresso and Always Artichoke, and used an Aqua Painter to blend the colors and add some grass. The wood grain card stock was done using Early Espresso Core'dinatons Card Stock, the Woodgrain Embossing Folder, and a Sanding Block. It's real easy to do and the effect is stunning. 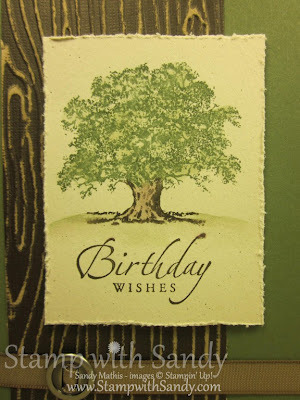 What a great masculine card! I see your friend liked it and I know why! Thanks for sharing your creation!